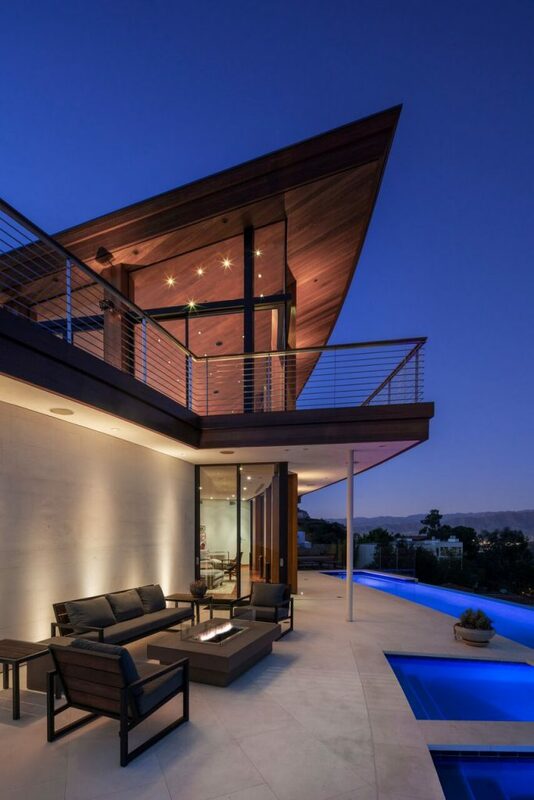 Nestled in the prestigious Hollywood Hills area, in Northwest Los Angeles, lies a modern masterpiece. 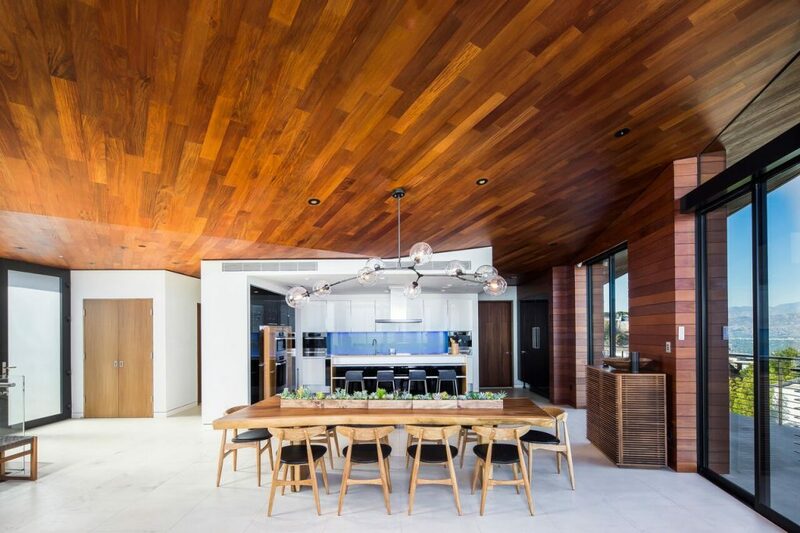 With its stunning angular design and sleek metal touches, this home is in a class all its own. Our very own Santos Mahogany Natal from the Downtown series is featured throughout the home both on the ceiling and floor. 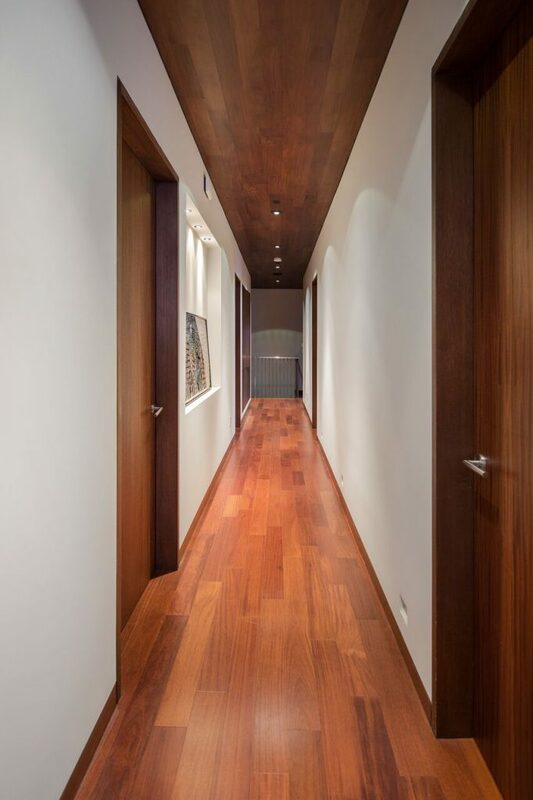 Santos mahogany is widely regarded as one of the hardest hardwood species and its resilience and strength is complimented by distinct grain and warm tones. 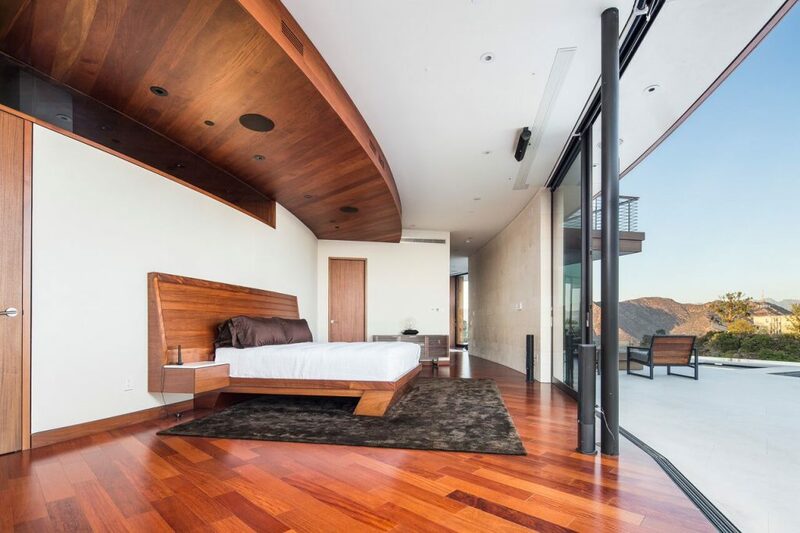 With beautiful 5-inch-wide planks, smooth texture, and a semi-gloss finish, it’s no wonder the Natal was chosen for the design of this contemporary Hollywood Hills home! We recently had the opportunity to go in and photograph the incredible architecture and interior design of this magnificent home. From the hardwood ceilings to its floor-to-ceiling windows, you’ll soon see why this home stands above the rest. Step through each room with care and get ready for some serious design envy. 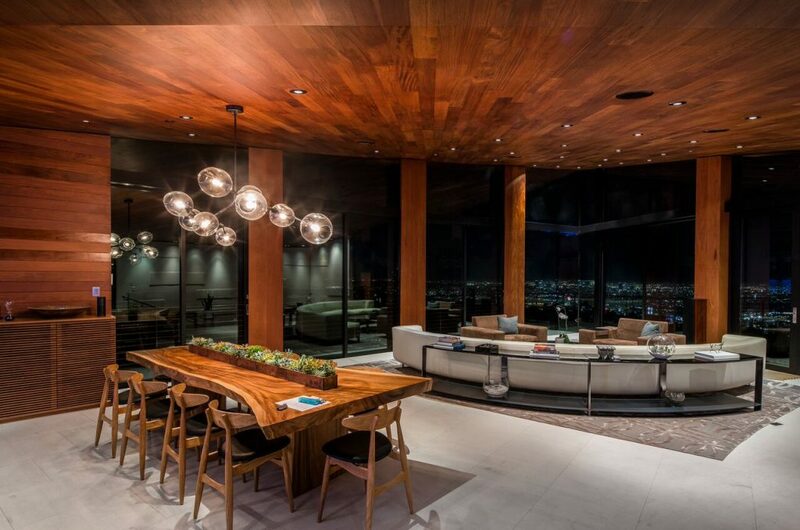 From some really unique lighting fixtures, to a stunning color palette – this home has it all! Its warm ambiance is accented with natural wood tones, greenery, and contemporary pieces of furniture. 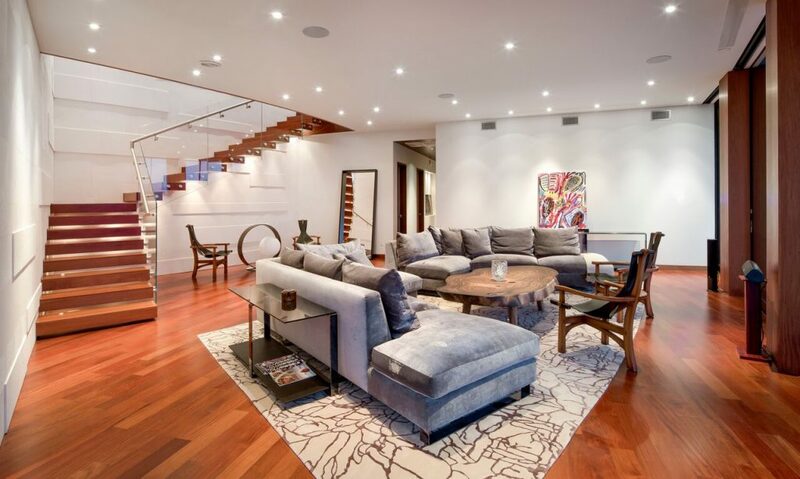 This spacious home features an open-concept living space which combines the kitchen, dining, and living areas. The mixed materials on the floor, walls, and ceiling compliment each other in this beautiful space. Sweeping views enhance the chic interiors of each and every room. Hallway or art gallery? 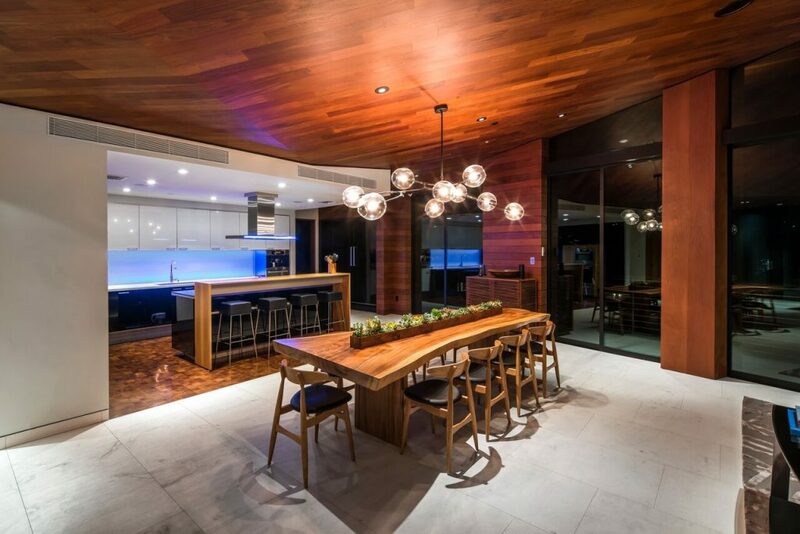 The Santos Mahogany Natal is featured on both the floor and ceiling, surrounding the space in elegant warmth. 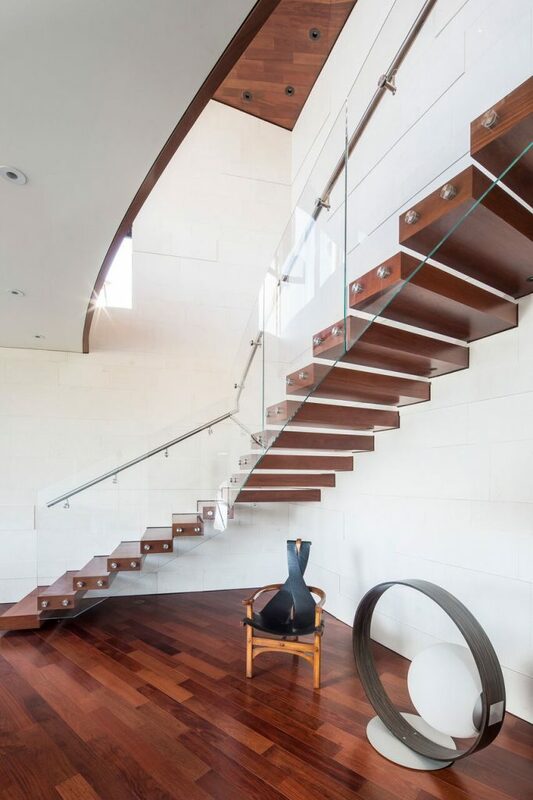 A staircase with mixed materials including wood, metal, and glass is a statement maker in this entry. 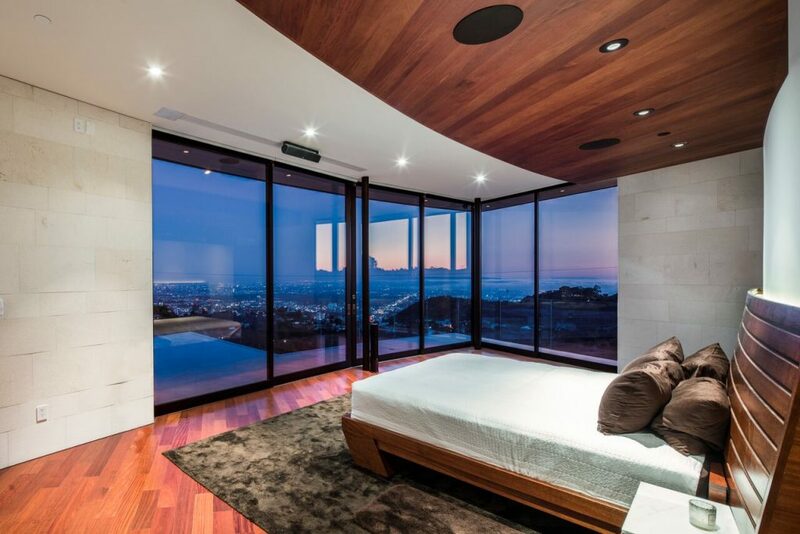 The bedroom is open to a large patio, perfect for admiring this home’s stunning views. 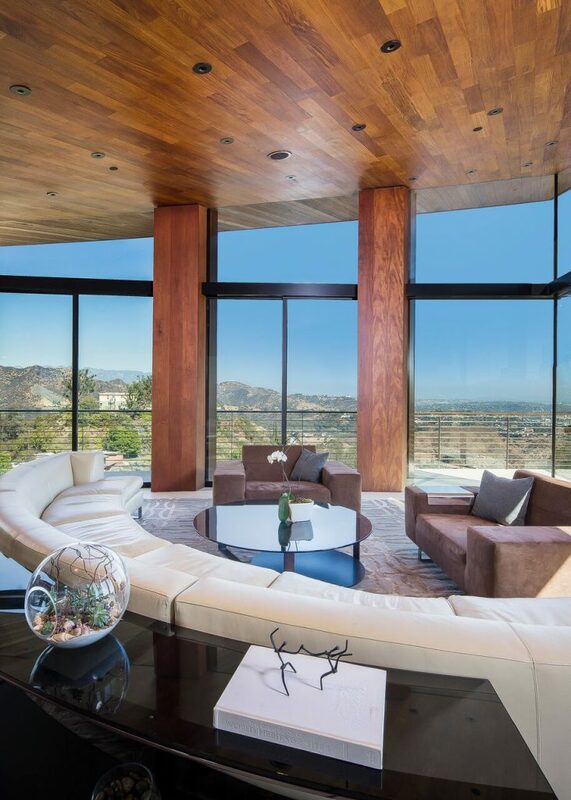 Floor-to-ceiling windows provide the perfect visibility of the surrounding hills while you relax in the living room. We hope you enjoyed this tour through this uniquely beautiful home. What do you think? Would you live here? Comment below! 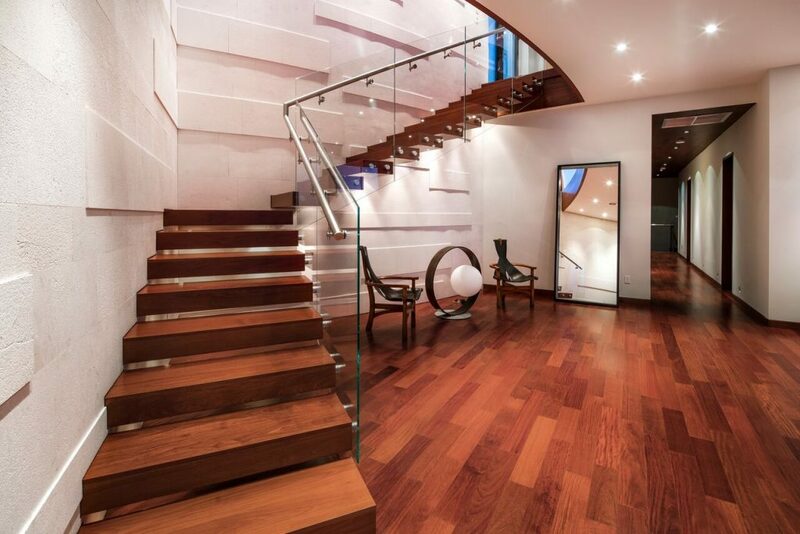 You can view the Santos Mahogany Natal flooring HERE.